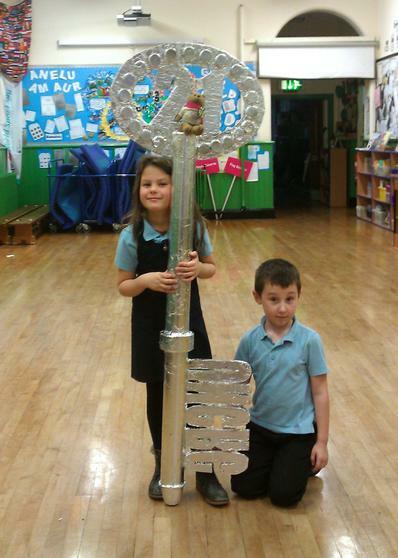 The children have made a special 21st key key at lunchtimes from scrap material. 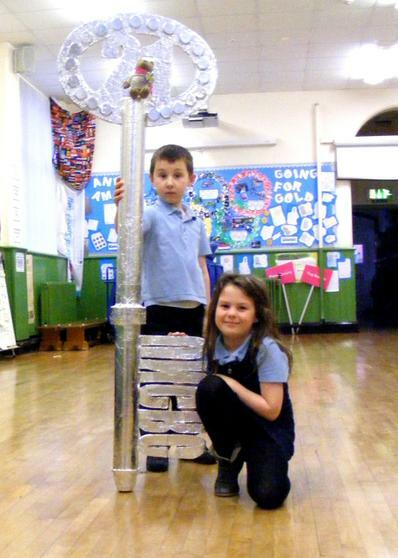 At an assembly on Friday they showed the key that they were working on and asked everyone to think of their own special Birthday wishes for the UNCRC over the weekend with their families, so the could put it inside the key for the future. Luke said that he wished for "every child to have a family. "Charlotte said she wished "Every child in the world could go to school (Article 28.)" Holly wished that "All children would be able to have a say in matters that affect them (Art 12.)" and James -probably with his love of football in mind- wished that "All children could have their right to play (article 31)." What would your wish be? 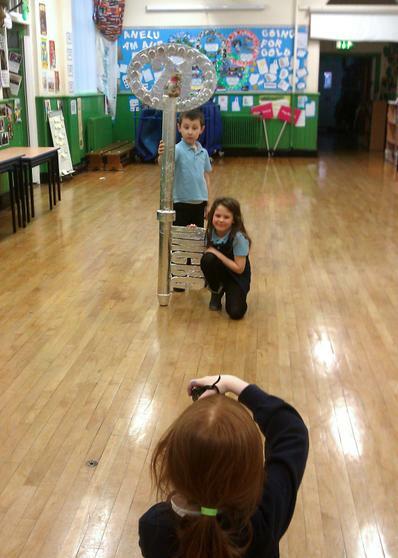 Part of the School Council's role is to promote Children's Rights, and they tend to use any opportunity to do this. We celebrated, the signing, ratification and implementation of the UNCRC in the UK, along with Human Rights Days, Persons with Disability Day, World Teachers Day.... any excuse to talk about Rights and get the children and their families thinking. 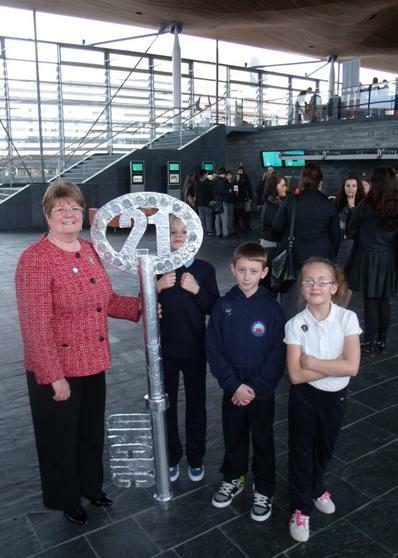 We took the Key down to the Senedd one day and some of the AM's kindly agreed to have their photo with it. We would like to say a big thank you to everyone who kindly responded to the children's request and shared their Birthday wish with us. The Children's Commissioner for Wales. UNICEF UK raises funds for UNICEF’s emergency and development work around the world. In 2011 they raised £95 million for UNICEF’s work with children worldwide, including over £48 million to help children caught in emergencies. They also advocate for lasting change for children. UNICEF UK’s Public Affairs team works with Parliament to change government policies and practices that are detrimental to child rights in the UK and internationally. UNICEF is the only organisation specifically named in the UN Convention on the Rights of the Child as a source of expert assistance and advice on which governments can call. They are responsible for holding governments to account for the rights of children and run the Rights Respecting School's scheme. 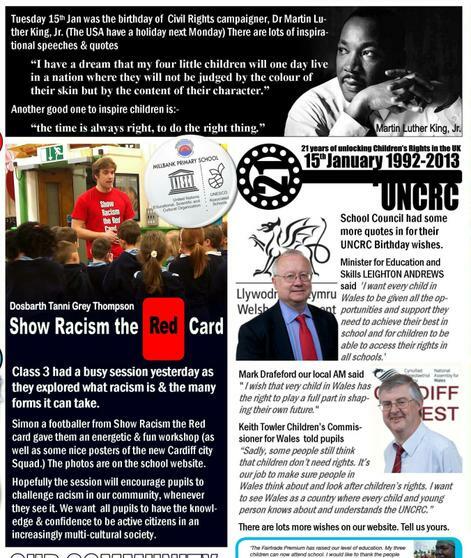 Millbank is currently the only Rights Respecting School in Cardiff, we hope that more schools will take part. 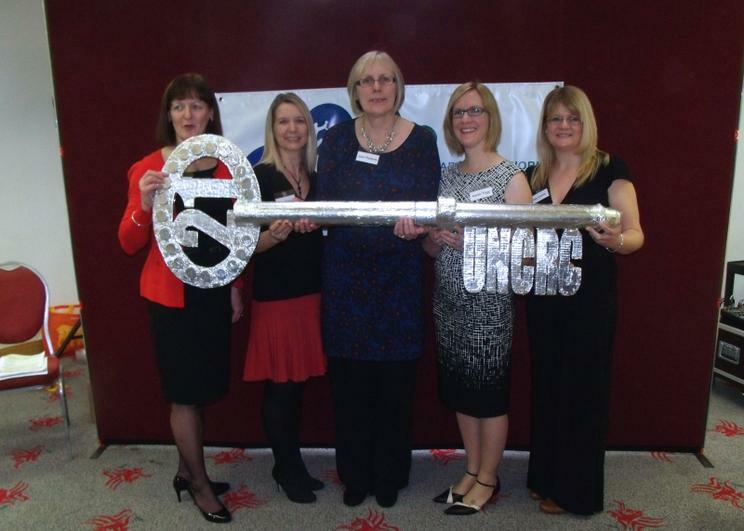 Sarah Hooke (pictured on the left of this photo)is the UNICEF Professional Adviser for Wales, Rights Respecting Schools. 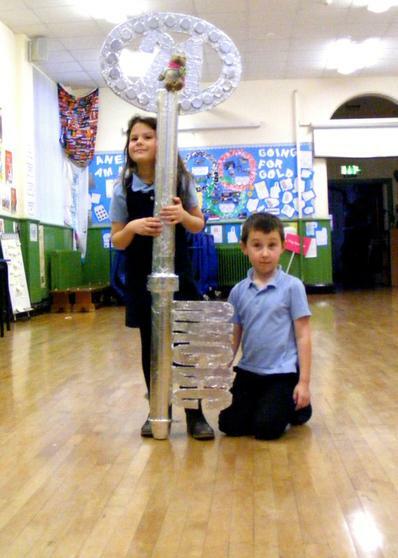 "I am very proud of the achievements that we have made in Wales through the Rights Respecting Schools Award and wish for the future that all children in Wales are able to learn about their rights and by enjoying them they can reach their full potential." 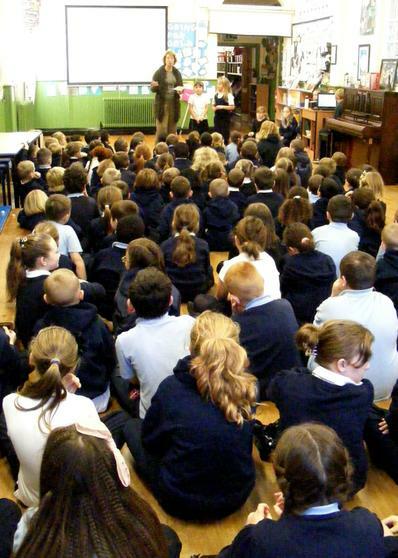 My top priorities in education are to improve the literacy and numeracy of all children. I believe every child in Wales should be taught in good schools and by the best teachers and ensure we close the gap in deprivation of learning. Gwenda Thomas AM The Deputy Minister for Children and Social Services. The Welsh Government 'Since 1992 we have come a long way in Wales. Children's Rights are embedded into domestic law, we have a scheme in place to ensure that Welsh Ministers have considered children's rights and we also celebrate anniversaries that promote these rights. But this is a never ending journey and there is still a long way to go'. 'I believe that every child in Wales is important. They should be entitled to the best start in life, the best possible chance to grow up free from poverty, harm and with the support they need to reach their potential'. MARK DRAKEFORD AM is our local Assembly Member you can see when the children visited the polling station during his election and when he addressed the school ahead of Democracy day 2011 to tell the children about the importance of being an elected representative. 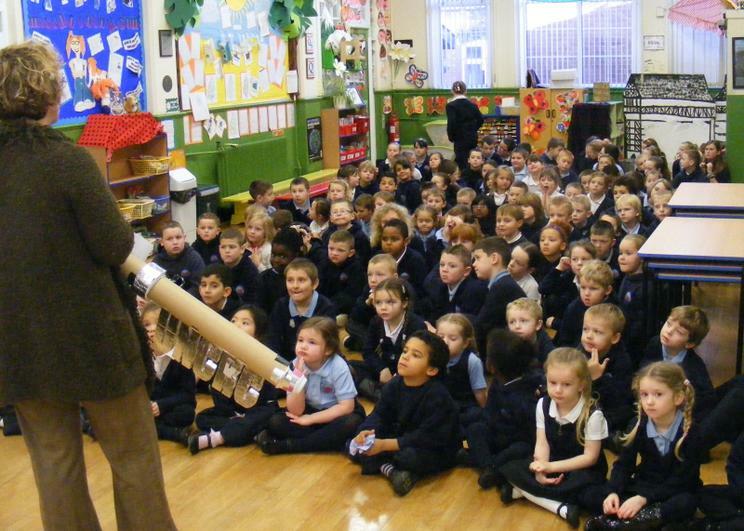 "I wish that very child in Wales has the right to play a full part in shaping their own future.’"
Rhodri Morgan used to the the AM and before that the MP for Cardiff West. He is best known as the being the First Minister of the Welsh Government from which he retired in 2009. You can see when he called in to Millbank to help uspromote Fairtrade in 2011. He still works to promote the UNCRC and was praised at the UNICEF report launch in November for being such a driving force in establishing Children's Rights into law in Wales. The Children and Young People Committee is there to consider issues affecting children in Wales. "the Committee examined the expenditure, administration and policy of the Welsh Assembly Government and associated public bodies and consider reports of the Children's Commissioner for Wales." Christine Chapman AM is the chair of the committee . Northern Ireland was the 2nd UK devolved administration to have a Children’s Commissioner who looks after the rights and best interests of Children and Young People. 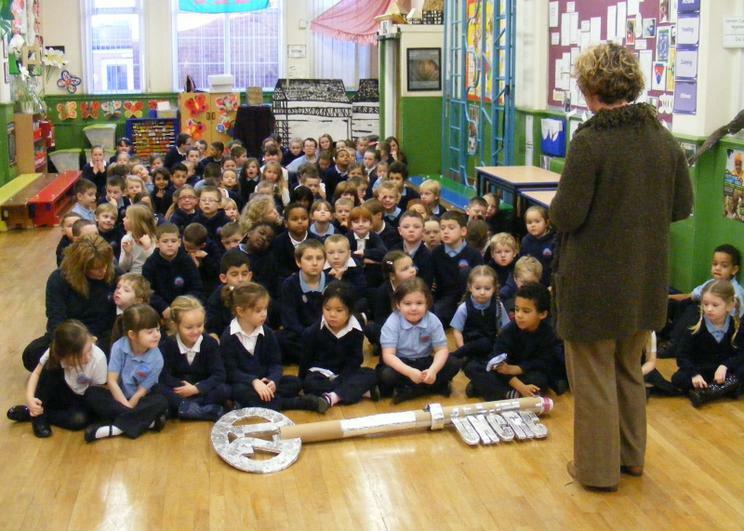 Northern Ireland Commissioner for Children and Young People, Patricia Lewsley – Mooney said: "The office was set up here in 2004 and since then there have been huge developments in the recognition of children’s rights in services such as Education, Health and Transport. Indeed each Government Department in the Northern Ireland Executive now has a ‘Children’s Champion’ who I work closely with to ensure that each department is delivering for children and young people here." “My wish for the future of Children’s rights in Northern Ireland and throughout the UK is that every decision that is taken by Government is done so after considering its impact on children and young people. “I hope that EVERY public organisation which provides a service to children and young people delivers and develops these services meeting the needs and respecting the rights of children and young people. Prof Laura Lundy is a leading figure in Children's Rights and a co- author of the recent report. 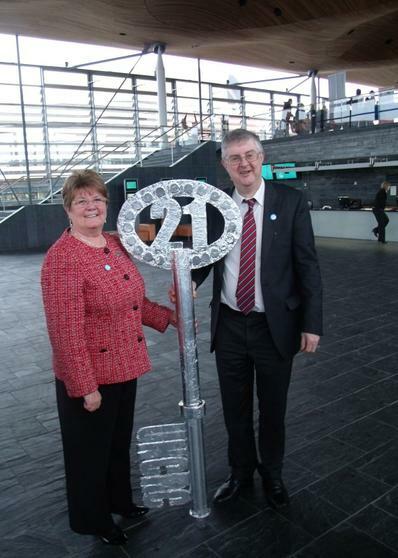 Which was launched on 21 November 2012 by UNICEF UK at the National Assembly for Wales in Cardiff. The report looks at how countries beyond the UK implement the Convention on the Rights of the Child (CRC), to compile evidence of the most effective and impactful ways of embedding children's rights into domestic law and policy.
" ....that governments everywhere seek children's views and then take them seriously. 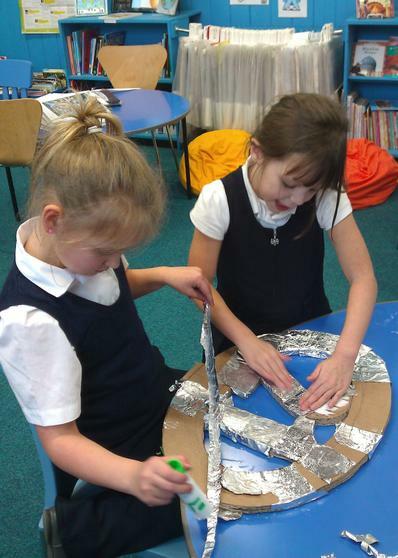 If they do that, it will help them keep all their other UNCRC promises about things that are important such as education and health and play." " Article 28 is achievable in all countries that signed the UNCRC and that every child can enjoy their education in safely." Save the Children works in 120 countries. "We save children’s lives. We fight for their rights. We help them fulfil their potential." 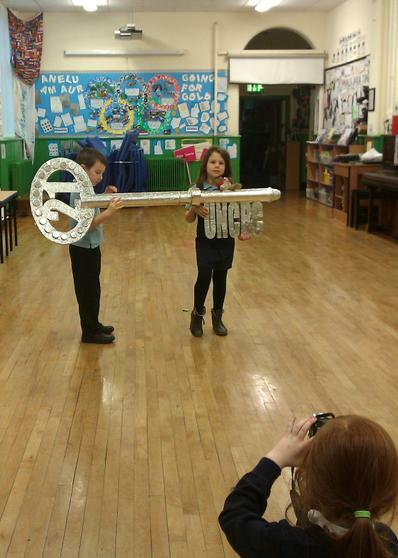 They are very active in Wales and we have been very lucky to have children learn about the UNCRC from Save the Children. "When the UK government signed the UNCRC it made a commitment to incorporate children rights into every day UK law so that young people living in the UK could realise their rights in their day to day life. 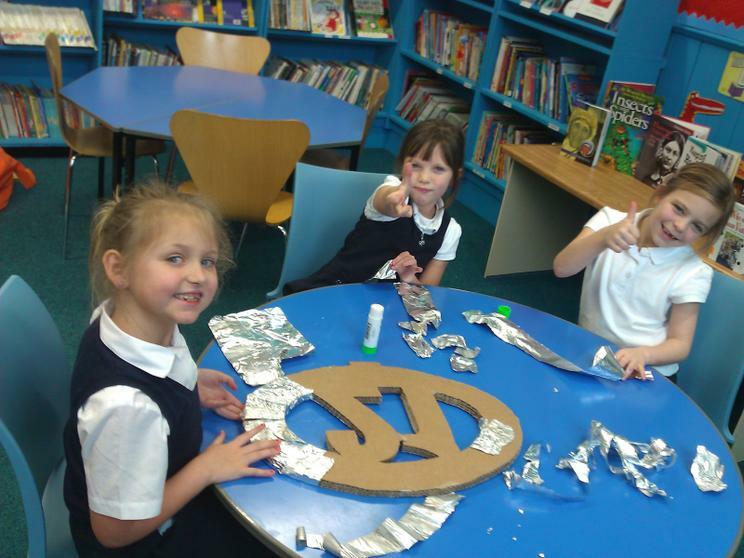 There is still much to be done but the UNCRC has led to some positive changes, for example. ~ Children’s rights to be protected and have their best wishes put first. ~ To have their views and wishes heard is part of UK law under the Children Act. ~ To make complaints in their own right. ~ Children in prison are no longer held with adult prisoners. 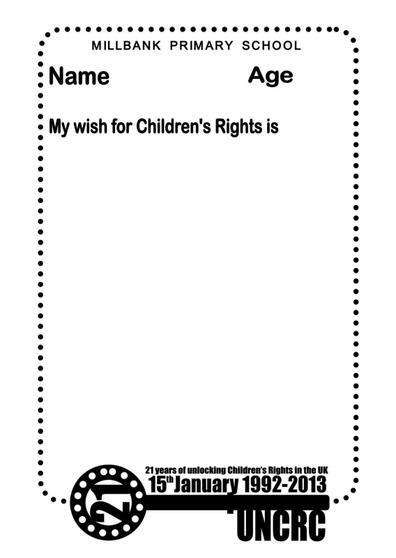 ~ Many more people have now heard of the UNCRC and children’s rights. Wales was the first to have a Children’s Commissioner but now all areas of the UK have them – independent adults who will champion children’s rights. 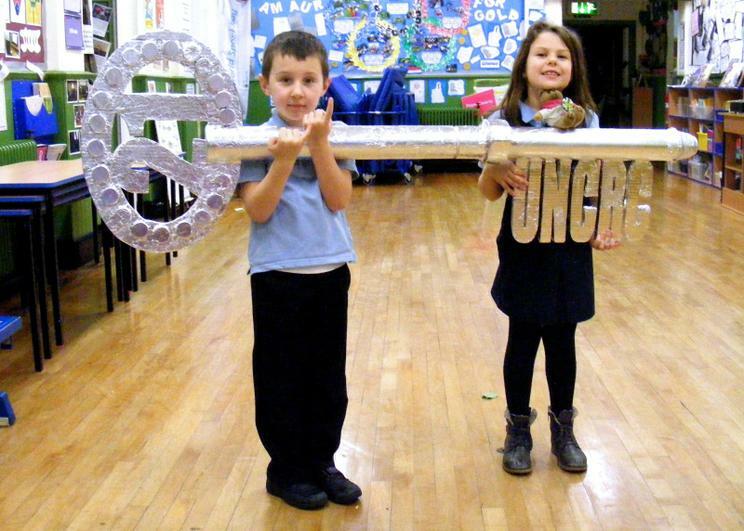 In Wales the UNCRC has led to Article 12 – children’s participation and the duty on local authorities to make sure that every school and community have a school council and a youth forum and to Article 32 – the right to play – where every local area has to make sure all children have access to good play facilities. There is also a brand new law in Wales – the Rights of Children and Young Persons Measure which means that the Welsh Government have to show respect and consideration of children’s rights every time they make a new law or policy. "The UK Government would put the UNCRC into a law so that all children in the UK can enjoy their full rights." " Action for Children wishes for all children to be protected, listened to and respected, and to have everything they need to reach their potential. " UNA activists form the campaigning and advocacy backbone of the Welsh Centre for International Affairs (WCIA)’s work. As with UNA bodies throughout the world, UNA Wales is a voluntary membership organisation and is completely independent of the UN system. "UNA Wales aims to promote informed debate on international issues, including the UN system itself. Our mission is to work to secure public and governmental support for the ideals of the United Nations and its agencies through campaigning, organising events and supporting the Association's local branches. At a time of continuing inequalities within and between nations, this work is more important than ever." UNA Cardiff and District Branch is part of UNA-Wales and is affiliated to UNA-UK. UNA supports the work of the United Nations but but like UNA Wales is independent of it. "UNA campaigns and educates to make the ideals of the UN a reality. Those ideals were summed up by Ex-UN Secretary General Kofi Annan in his Millennium Report as a world free from want, free from fear, and with a sustainable future. At a time when our world is characterised by gross inequalities within and between nations, and the UN Charter itself is threatened by unilateral actions of member states, this work is more important than ever." One of the ways they hope to do this is through educating young people about the UN. "No child goes hungry in Wales." "I wish for a world in which no child is smacked." to go to school (Article 28) to develop all their talents and abilities (Article 29) . It's also very important that everyone understands the benefits that education can bring." 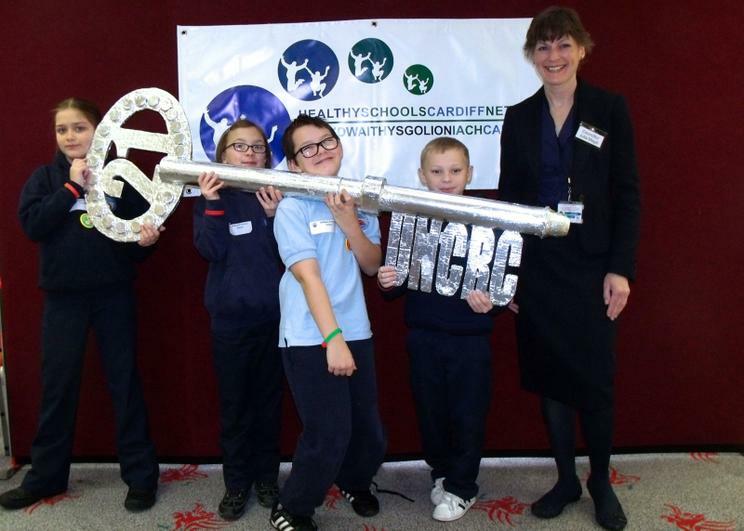 The Cardiff Healthy Schools team do a huge amount of work with our local schools to promote and protect the health and wellbeing of children and young people. Their wish is…..
"We want children to be treated fairly and have a voice that is heard so that they can enjoy their childhood and grow into happy and secure adults." The UN Convention on the Rights of the Child are additional Human Rights specifically for the needs of children. These rights are based on what a child needs to survive, grow, participate and fulfil their potential. 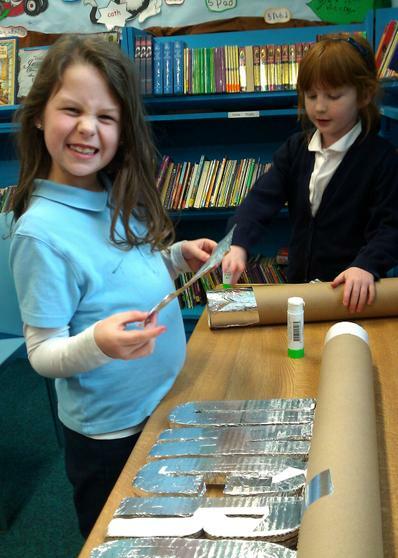 They apply equally to every child, regardless of who they are, or where they are from. 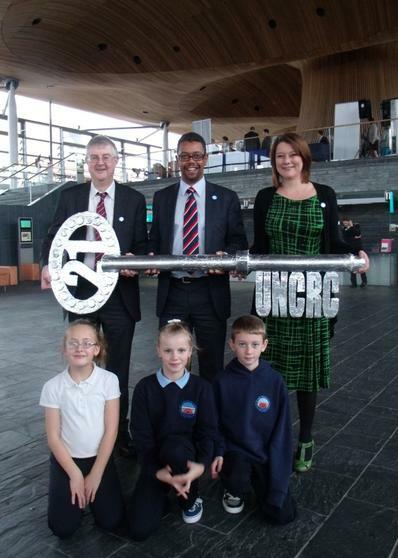 The UNCRC took over 10 years to put together. On 20 November 1989, the governments represented at the General Assembly of the United Nations (which included the UK) agreed to adopt the Convention into international law. The UK government signed the Convention on 19 April 1990, Parliament ratified it on 16 December 1991 (with several declarations and reservations about bits they did not want to agree to) & it came into force on 15 January 1992. 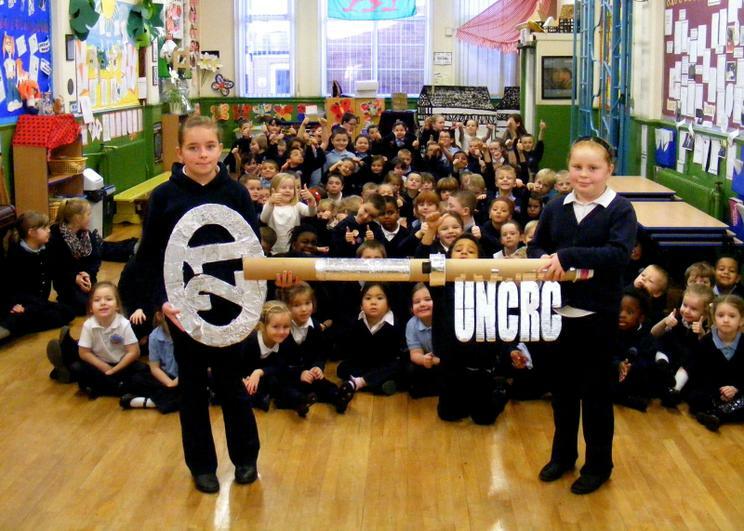 So this year - 2013 it'll be 21 years since the UNCRC actually came into force in the whole of the UK. "Whilst all laws, policies and practices that relate to children must be compatible with the rights in the UNCRC the UNCRC has still not been directly incorporated into UK law and this leaves gaps in the protection of rights for children in the UK." 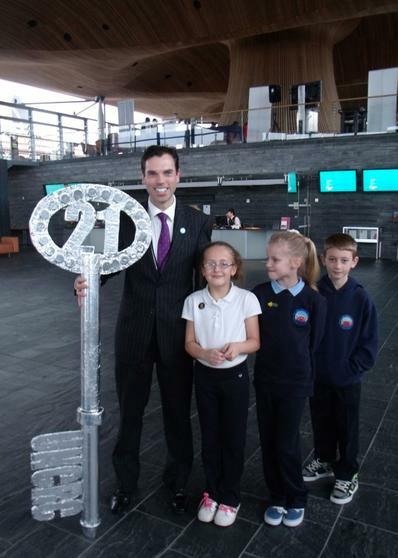 The Rights of Children and Young people (Wales) measure 2011 places a duty on the Welsh Ministers (including the First Minister) to have regard to the UNCRC. We celebrated that when it partly came into force last year, and next year will applywhen they are exercising any of their functions. It includes a duty on Welsh Ministers to take appropriate steps to promote knowledge and understanding of the UNCRC amongst the public, including children. We can see that this happened when the Welsh Government's Transport Minister Carl Sargeant came into Millbank to launch the Active Travel Bill for Wales. 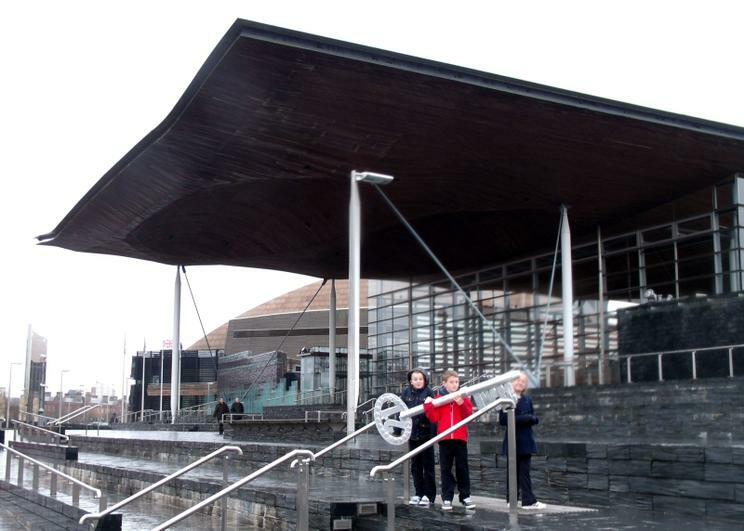 Before the bill was placed before the Welsh Assembly they did a littlereport on how the bill would impact on Children and young people's rights in Wales. The infants love making Maximouse the little Rights MOUSE'cots from their milk bottles. And as they chat away about the children's right that they want the little banner to carry they hardly realise that they are learning about Rights. Classes, library, tuckshops have Charters instead of rules. And we have high expectations of our School Council who act as Rights Leaders promoting the UNCRC along with our Children's Commissioner Ambassadors. Each week we try and include a Right of the week in the parent's newsletter to try and spread the word that families and especially important in the UNCRC. And we try and explain a little bit about some of the many activities that the children are involved in, so parents can better support their child's learning.